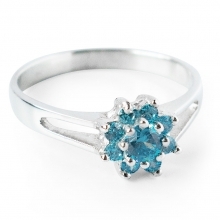 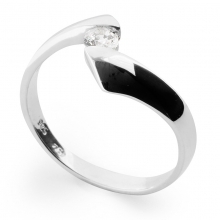 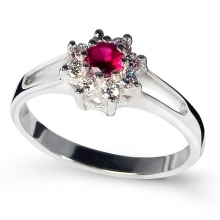 A gorgeous ring great for use as an engagement ring or as a gift for her birthday, this attractive ring is a symbol of sublime beauty. 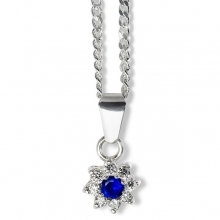 Many women want something like this to go along well with their everyday outfits; an all in one stunning accessory. 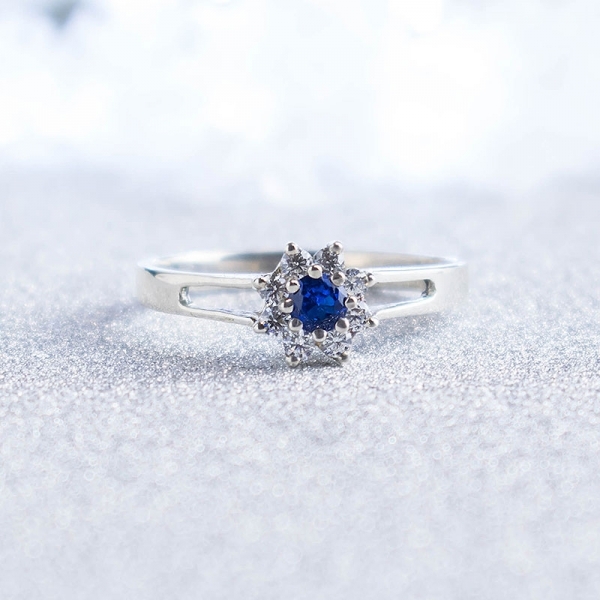 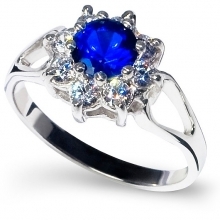 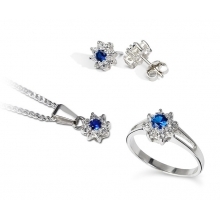 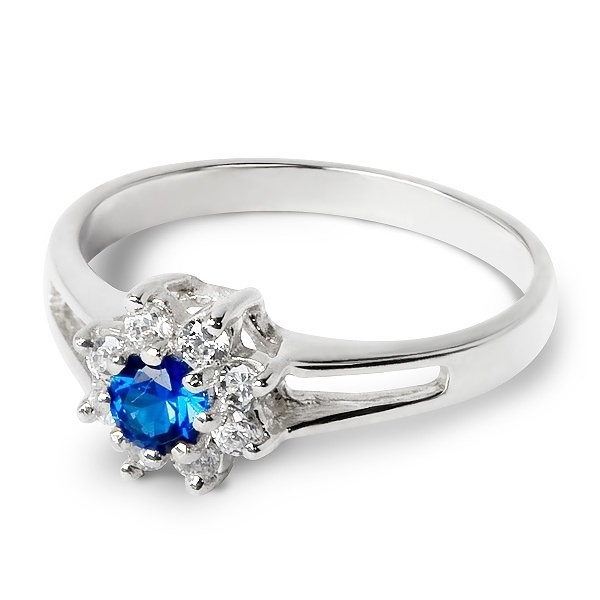 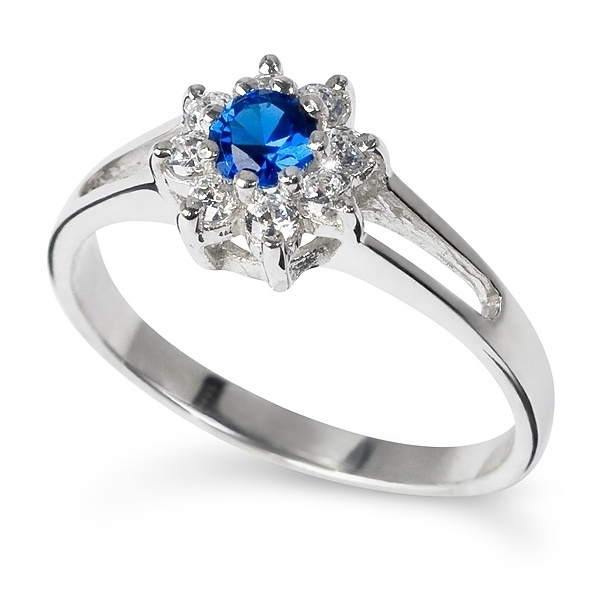 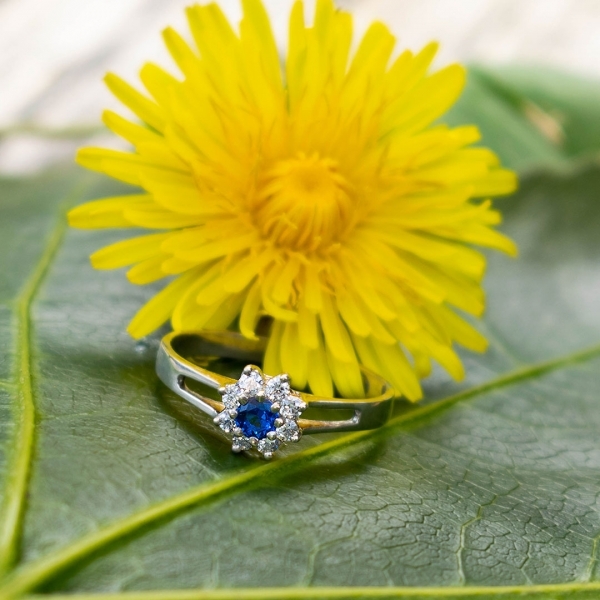 The central idea of this ring is a circular, flawless sapphire nestled around eight glimmering cubic zirconias in a ring made of sterling silver. 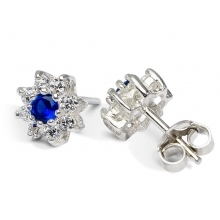 The pattern formed is an enticing flower which rivets the eyes and keeps them glued in place. 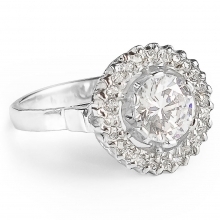 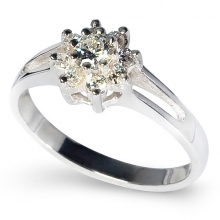 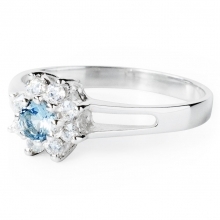 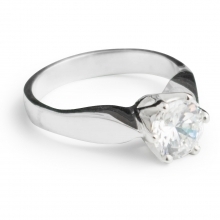 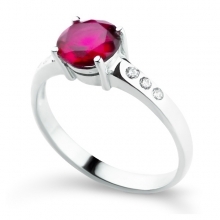 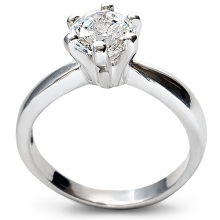 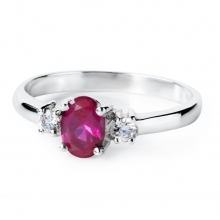 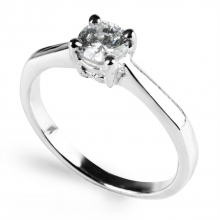 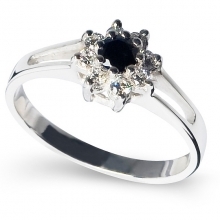 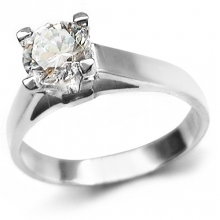 As a result, the overall image and feel of the ring is one of intense beauty and prestige.